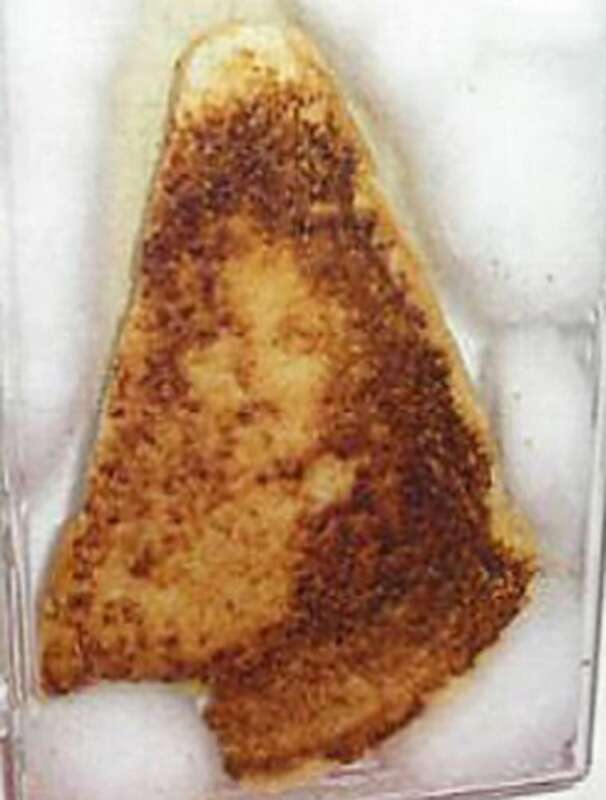 You might have scratched your head in wonderment when a 10-year-old cheese sandwich sold at auction for a cool $28,000 simply because people thought they saw the face of the Virgin Mary in the folds of the stale food. But there’s a long history of people finding meaning in mundane objects. And scientists now say they know why this happens -- and how it works. We’re wired to pay attention when we see objects that remind us of something we already know, says Joel Voss, an assistant professor at Northwestern University. Our brains automatically identify similar objects and then organize them according to type. That’s why we can look at a baseball cap and a fedora and know right away that both are hats, Voss explains. After noticing so many examples of people seeing familiar -- and highly meaningful -- images in ordinary objects, Voss and his colleagues started to wonder what parts of the brain might be sparking when this happens. So the researchers rounded up 10 volunteers who were willing to lie in a brain scanner while looking at a bunch of squiggles. The study volunteers were asked to rate the squiggles on a scale of 1 to 5 as being meaningful, or not, as the images flashed by. By meaningful, the researchers meant, did the abstract scrawls remind volunteers of something real, like an animal or a face? Each time a squiggle passed by, various parts of the visual cortex flashed bright, including a region at the front known to be involved in analyzing the meaning and importance of data that the eyes are transmitting to the brain. Next the volunteers were then asked to look at a larger series of squiggles -- which also contained the ones that had already been viewed. The instructions to the volunteers this time were to pick out the ones that had flashed by in the first part of the experiment. Again, various regions of the visual cortex lit up as the volunteers watched the squiggles flash by. But, intriguingly, the frontal region stayed quiet when “meaningful” squiggles flashed by again. Story: Jesus toast under the Christmas Tree? What this means, Voss says, is that the volunteers’ brains had cataloged these squiggles in the earlier viewing as faces or animals or something else meaningful to them. That meant that this time there was no need to analyze the shapes again. The purpose for all this brain circuitry is most likely to promote our survival, Voss says. Back when we were evolving on the savannah it was important to recognize anything that looked like a predator. Thus, if you were wandering out at night you needed to recognize which shadows might be menacing. “If you failed to identify the shadow that looked vaguely like an animal, you might get eaten,” Voss says. In the modern world, we still are looking for important patterns. So now, when we see potato chip that looks like Elvis, our brains just think they’re seeing another manifestation of The King, himself.